An unavoidable fact of life – aging brings about change. Something we may all know and understand, yet, it can be difficult to learn you have cataracts. Many people experience cloudiness in their vision due to cataracts, currently, more than 20 million Americans over the age of 40 are affected by cataracts. By age 65, nearly 50% of people in the United States will develop cataracts. 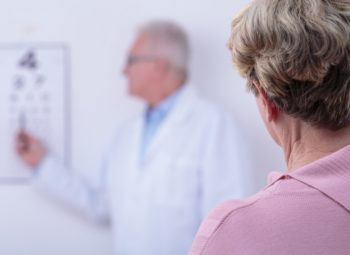 Early warning signs and symptoms of cataracts are difficult to notice, for this reason, it is important to keep an eye out for changes in your vision. Simply put, a cataract is a clouding of the eye’s natural lens which is made up of primarily water and protein. As we age, the lens becomes less flexible and transparent as the tissues and natural proteins within begin to break down and clump together. As a cataract develops, the clouding effect becomes denser and blocks light from passing through. The normally transparent lens can no longer focus light entering the eye onto your retina, causing blurry or dim vision. Without treatment, a cataract will eventually cause severe vision loss and lead to total blindness. Cataracts are extremely common and are the number one cause of blindness worldwide. While cataracts typically occur in people over age 40, they can happen to anyone. Cataracts can affect both adults and children as well as women and men of all backgrounds. Usually, it is not likely you did anything that led to the development of your cataracts. While there are certain types of cataracts that may be associated with certain risk factors, by and large, cataracts are not preventable. The early onset of cataracts are almost completely unnoticeable to you and can only be detected through a comprehensive eye examination by a skilled ophthalmologist. People who are diagnosed with cataracts often experienced no apparent symptoms before diagnosis. Most cataracts will develop slowly over the course of several years and the speed at which they develop may depend on your overall health, but this is different for every person. There are studies presenting some evidence that a healthy diet and active lifestyle can aid in slowing cataract progression. 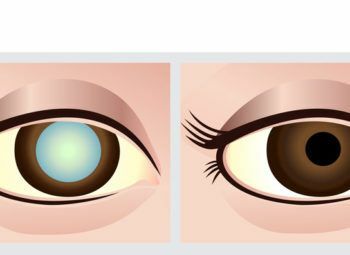 These symptoms can also be an indication of other eye-related problems. If you can perceive noticeable changes in your vision, consult with your eye doctor right away. 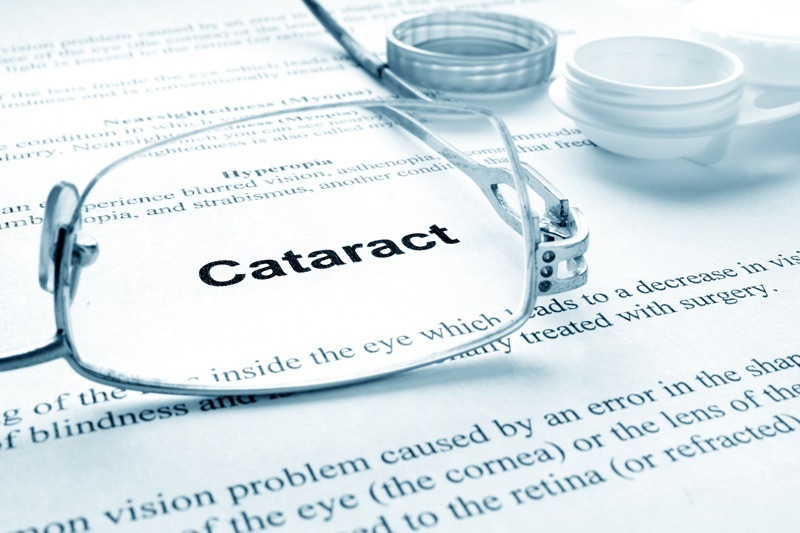 While most cataracts are age-related, that term can be a bit misleading. You do not have to be a senior citizen to develop a cataract as many people begin to develop cataracts as early as their 40s. 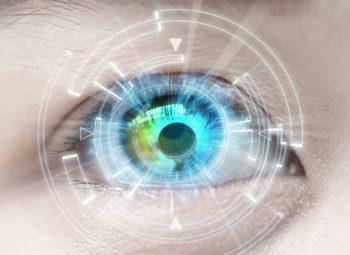 But your overall risk of developing a cataract does increase with age. Certain behaviors are believed to increase the likelihood of cataract development such as smoking, drinking, and overexposure to UV light. Other health conditions are also associated with increased cataract development including diabetes, high blood pressure, and obesity. There is no proven method of cataract prevention. The best thing a person can do is be proactive by maintaining a healthy lifestyle and scheduling regular comprehensive eye exams in order to catch the development of a cataract as early as possible. Vision loss caused by a cataract is life-changing. 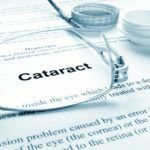 Early on, symptoms may be improved through the use of better lighting, eyeglasses, and other quality of life changes but no medication or lifestyle change can reverse a cataract’s development or restore vision loss. Surgery is the only treatment proven to address a developed cataract. During cataract surgery, the natural clouded lens of your eye is removed and replaced with an artificial lens, restoring visual clarity. 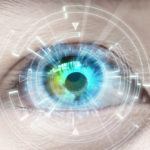 Luckily, cataract surgery is one of the most common surgical procedures performed in the United States and is also one of the safest and effective types of surgery. Patients are encouraged to consider cataract surgery once vision loss begins to affect their everyday lives. Consult with your ophthalmologist to learn more about your options. 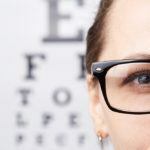 The key to the prevention of vision loss is regular eye examinations. For people over the age of 40, it is recommended to schedule an eye exam every 2-3 years, by age 65, it is recommended to have your eyes checked annually. Even if you are experiencing no perceivable symptoms, the skilled ophthalmologists at NeoVision Eye Center can detect the early onset of many ocular conditions. We combine technology, experience, and safety with an emphasis on patient care to bring you comprehensive vision health care. To learn more about our cataract-related services and treatment options, please call or contact us online today! Your best possible vision begins with you.